bridge language and custom as they pass freely across the Rio Grande." ~ from a brochure produced by the El Paso Civic, Convention, & Tourism Dept. We're back in the Lone Star state again, although just barely. El Paso is about as far west as you can get in Texas without being in either Mexico or New Mexico. 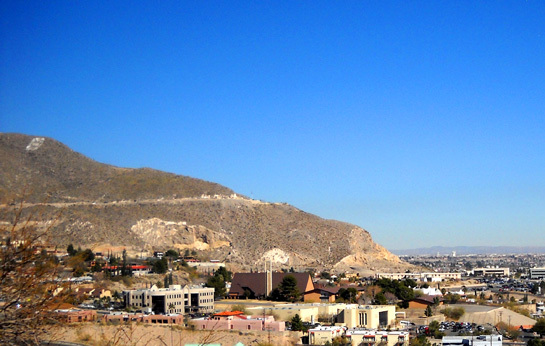 El Paso is the largest U.S. city on the Mexican border. Ju�rez is Mexico's largest border city. Combined populations are about two million people (note that Ju�rez is about three times the size of El Paso). In this series of entries I'll provide an update since we left Arizona on January 2 -- the trip here, where we've been camping, and some of the activities we've been doing. We've both been here before but in recent years it's usually been only in transit between Texas and Arizona on our winter trips. 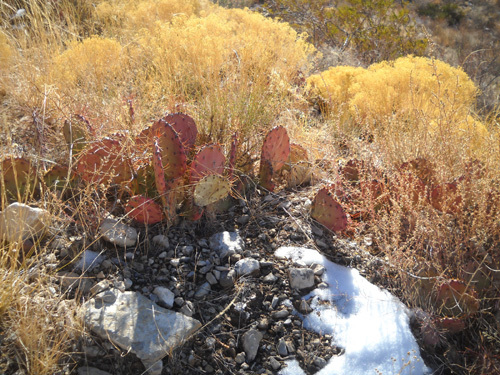 El Paso is a fairly popular winter destination because of its international feel and relatively warm, dry climate. Or so the AAA and Chamber of Commerce say! That's not our idea of fun. We don't want just a warm, dry climate and inexpensive camping. We also want some space, nice scenery, good trails, and a remote feel -- but with nearby services and a good internet connection! Not sure we're ever gonna find all that in Arizona in the winter . . . and even less likely in southern California. So instead of scouting around out there after ATY we headed for someplace more familiar -- Texas! El Paso sounded like a good place to spend a few days for several reasons: its reputed warm, dry winter weather, lots of trails in the Franklin Mountains, its proximity to Hueco Tanks, reasonably-priced camping at the Fort Bliss RV Park, and several museums, missions, and other historical sites that sounded interesting to us. After a one-day drive, it'd be a good place to hang out for a week before moving farther east. 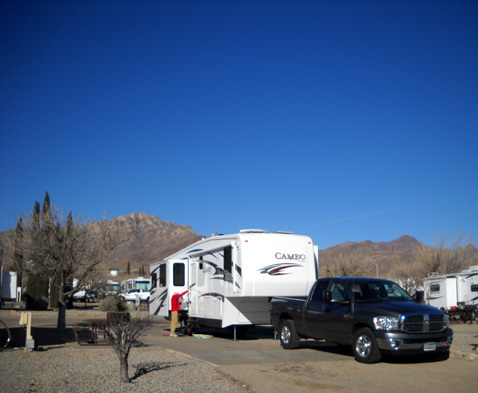 Nice view of the Franklin Mountains from the Fort Bliss RV Park; that's our Cameo. I've mentioned before about the great park system in the state of Texas. I'd love to visit more of the almost-100 parks, monuments, and historical sites than we've already seen. We considered several parks with RV camping that were new to us as we made our way east toward Huntsville SP, where we have reservations at the end of this months so Jim can train for the Rocky Raccoon 50-mile race on February 5: Davis Mountains, South Llano River, Pedernales Falls, Inks Lake, Bastrop, Buescher, Garner, Lost Maples. We also considered Big Bend National Park. We managed to find reasons to avoid camping at each of those parks this month, however -- everything from weather that would be too cold in January to drained lakes to trail closures for deer hunting or prescribed burns. El Paso offered a state park three-for: Franklin Mountains, the Wyler Aerial Tramway, and Hueco Tanks. None of those has suitable RV sites for us, however, so we chose to camp at Fort Bliss and visit the parks during the day. 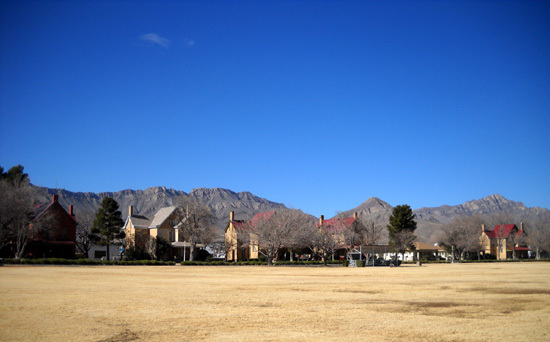 The Franklin Mountains also form a scenic backdrop to officers' housing at Fort Bliss. One of our goals was to find milder weather than we had during most of December in the Phoenix area. Silly us! Moving from 1,000 to 2,000 feet elevation at Estrella and McDowell Mountain Parks in the Valley of the Sun to about 4,000 feet in El Paso was not the best plan, even if it is a little farther south . . . Although we've had sunshine and temperatures in the 50s and low 60s every day for the past week, most nights have been below freezing. So far, so good with our water pipes on sub-freezing nights but we have to do several things when we know the temps will be that low: put enough fresh water in the tank to last until the weather warms up the next day (or longer), disconnect the water hose, let the outdoor water spigot drip overnight (and/or sometimes the indoor faucets), run the furnace to provide heat in the basement under the bathroom plumbing, open the cabinet door that provides access to the kitchen pipes, and aim one of our two small electric heaters toward those pipes. We should have studied the NOAA forecasts more thoroughly before heading here and perhaps chosen a different location in early January! 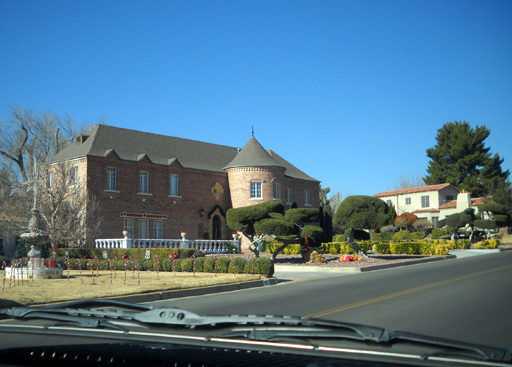 But then we would have missed some interesting things in the El Paso area. We had a dry, sunny day for travel on Sunday, January 2 but boy, was it cold! That limited the number of stops we made to three in 8� hours on the road -- two rest areas and a fuel stop. 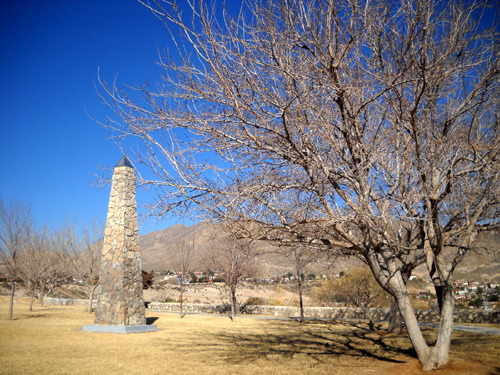 We drove from Estrella Mountain Regional Park southwest of Phoenix to the Fort Bliss RV Park in eastern metro El Paso, most of it on I-10. The freeway was in good shape. 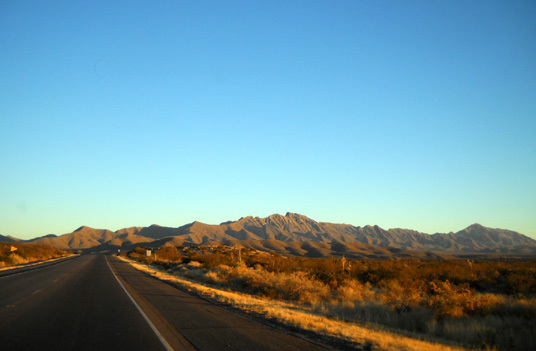 We had no traffic problems and made good time through southern Arizona, New Mexico, and into Texas. Since it was a winter holiday weekend there was no construction going on, nor any one-lane sections on the freeway. 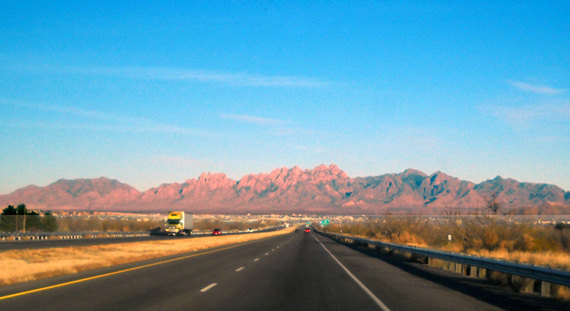 Traffic in Phoenix, Tucson, Las Cruces, and El Paso was light to moderate. Through most of New Mexico it was downright lonesome! Snow at the New Mexico-Arizona border -- I took this photo on I-10 from our moving truck. We didn't go anywhere near the 80 MPH speed limit on most of this freeway. 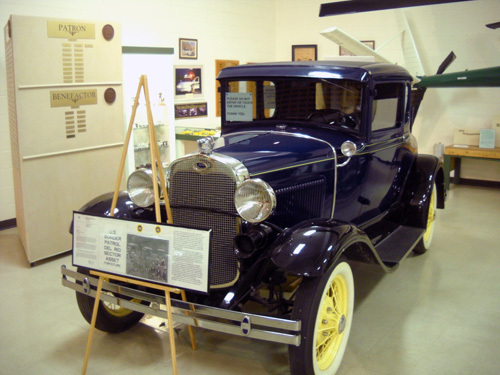 We usually drive about 60 MPH with the Cameo to conserve fuel. You might think we'd be a road hazard going so slowly but that Sunday the traffic was so light most of the way that our speed wasn't an issue. 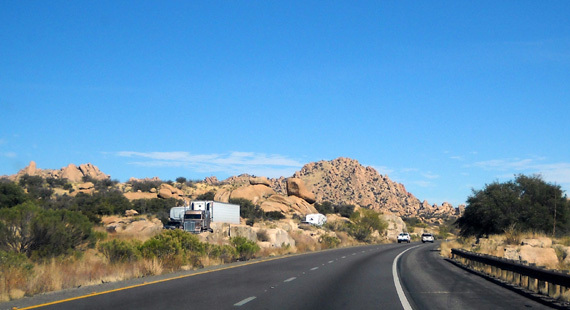 We saw more west-bound RVs than semis, most likely seeking warmer weather in southern Arizona. Now we know why they were going west! We probably should have stayed where we were. We saw a little bit of snow along the road when we were above 4,000 feet, which was basically all the way from Tucson to El Paso. There wasn't much snow on any of the mountains we could see even though some of them were in the 8,000-9,000-foot range. I always like driving through that area. Parts of this freeway are quite scenic, especially as the terrain gets hillier going eastbound. Diesel prices were fairly consistent -- and high -- all along I-10 in Arizona and New Mexico. We stopped at the Flying J at Lordsburg, NM (I-10 exit 24) and paid $3.35/gallon. Flying J used to be a little cheaper than its competitors but we haven't found that since they merged with Pilot and changed their RV rewards card. ** Now we usually look for the lowest price at stations with adequate room to maneuver the Cameo rather than being loyal to a company that no longer offers the same perks to RVers that it did before the merger. Most FJs charge $10 to dump now, too; that service used to be free. The jagged Organ Mountains near Las Cruces, NM are beautiful in the late afternoon sun. We were real happy to find diesel across from our campground at Fort Bliss for a more reasonable $3.11/gallon that afternoon! We saw several other service stations throughout El Paso with prices just a few cents higher than that. 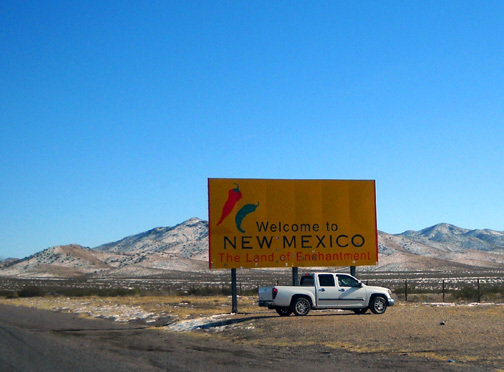 Texas has had lower taxes on gas and diesel than Arizona and New Mexico in recent years. With their newly-announced state budget problems, however, that might change. After another turn or two we were on I-54 heading south to the Fort Bliss RV Park at exit 25. 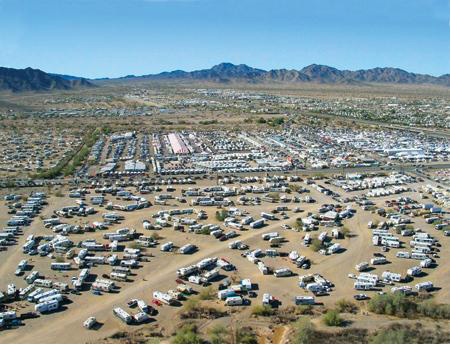 The campground is located between the freeway and the eastern side of the Franklin Mountains. I'll talk more about Fort Bliss and the RV Park in another entry. In the remainder of this entry I'll describe some of the places we visited in El Paso. 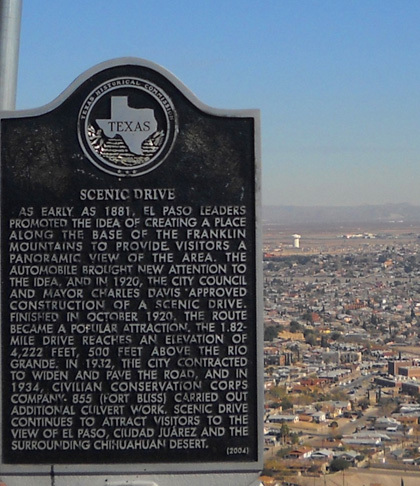 The city of El Paso spreads for miles in a V-shape to the east, west, and south of the Franklin Mountains. One of the easiest (and cheapest) ways to see spectacular views of El Paso, the Rio Grande, and Ciudad Ju�rez is to drive to the overlooks on Scenic Drive, a two-mile long road located at the southern end of the mountain range. You can see part of the road cut through the flank of the mountain in the photo below. Scenic Drive gets up to about 4,222 feet, which affords some good views of the city several hundred feet below. This is more than the southern end of the Franklin Mountain Range. 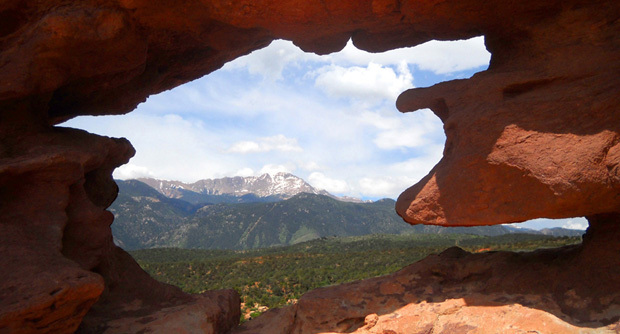 It's also the southernmost tip of the entire Rocky Mountain chain that stretches into Canada! There's a monument at Tom Lea Park along Scenic Drive denoting that interesting fact. 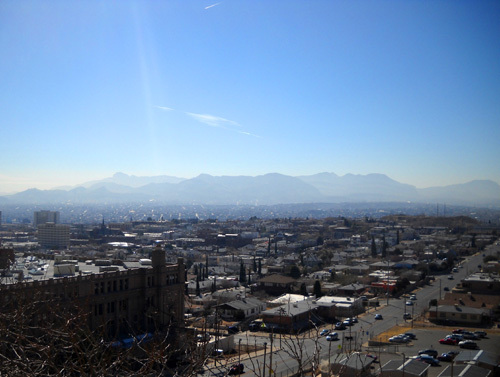 Another view of the city from Murcheson Park; it was hard to see the Rio Grande itself. In another entry I'll show photos of the city from even higher up -- a mile high on Ranger Peak. 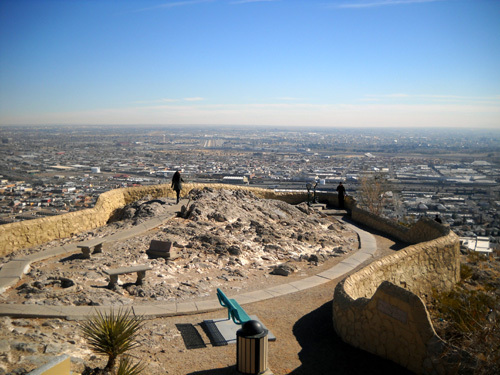 El Paso has a wealth of art, history, culture, science, transportation, and other museums. We've been to so many museums during our lifetimes that we decided to visit only two of them on this trip. 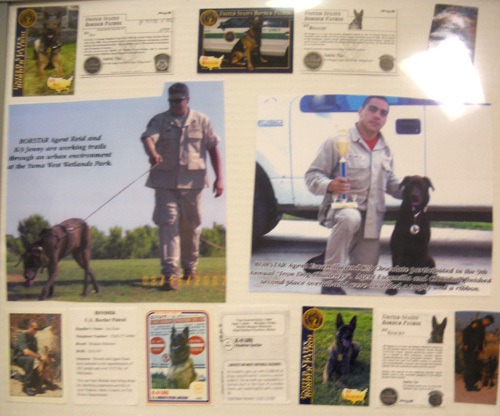 I'll talk about one here and the other in the entry about Fort Bliss. When we were making lists of places to visit in El Paso we chose this museum because it's so unlike any we've ever seen. In fact, it's the only one of its kind in the country. 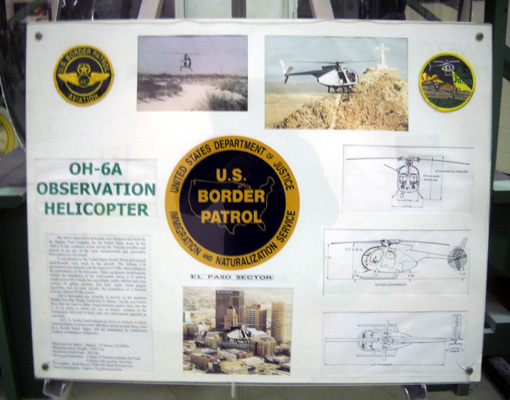 We spent about an hour perusing more than a century of U.S. Border Patrol history from the Old West to present high-tech. 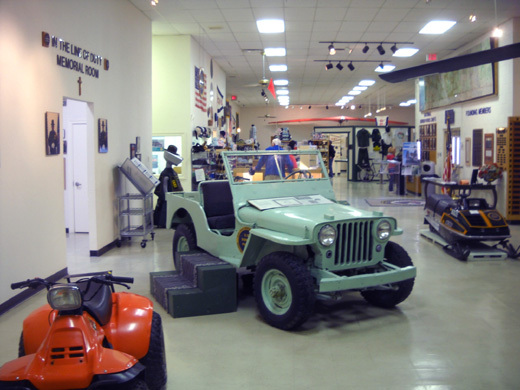 The museum contains interesting exhibits featuring photos, documents, uniforms, vehicles, boats, airplanes, weapons, and other memorabilia used by agents protecting our borders. Project Roadrunner: fewer suspects try to outrun fast Border Patrol cars! 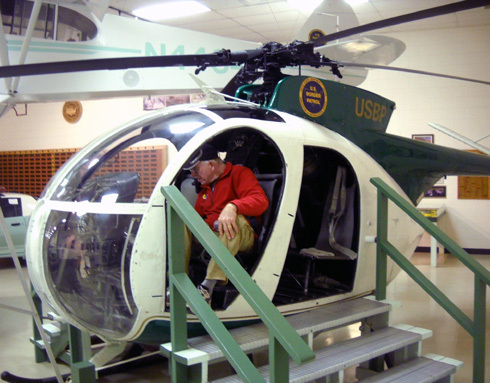 Jim always like to hop into the helicopters in museums we visit; he rode in Hueys in Viet Nam. While visiting the Southwest it's easy to think that the main border problems we have are with Mexico. 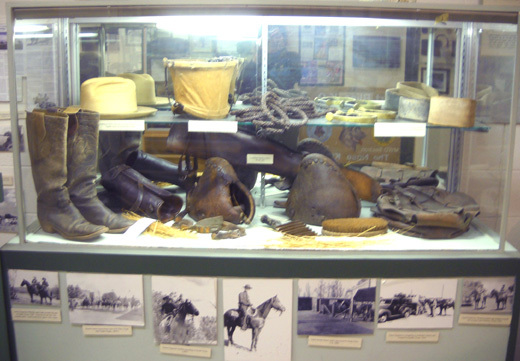 Exhibits in this museum illustrate other points of entry that must be guarded, such as Canada and the southeastern Gulf states. No, we don't exactly have a border with Cuba but refugees from that island country have a long history of entering the U.S. both legally and illegally. 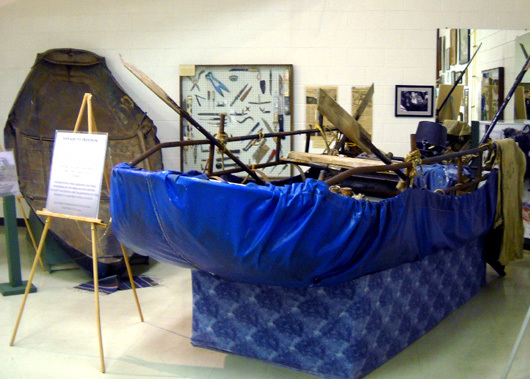 There's an even more crude metal boat shown on the left in the photo above. When you see contraptions like this and consider that people risk their lives in them to cross part of an ocean (not to mention getting arrested when they reach our shore), it really makes you appreciate the freedoms we have in this country! 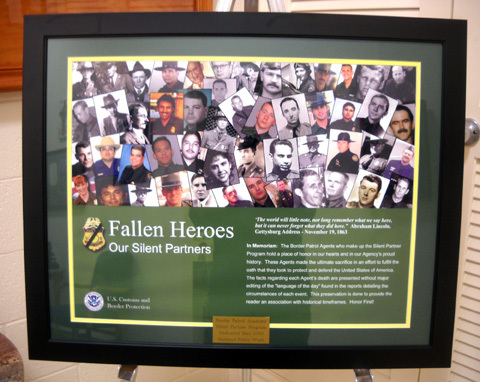 One room displays the names and photos of agents who have lost their lives in the line of duty. 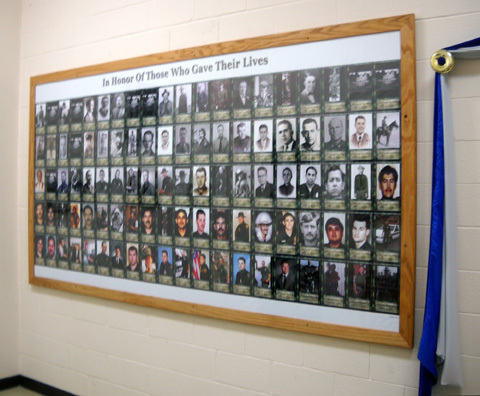 I was surprised to see how many deaths there have been, but with the escalating drug war on the other side of the Rio Grande and other global threats to our freedom and safety, I suppose it's inevitable that more and more names will be added to the wall. 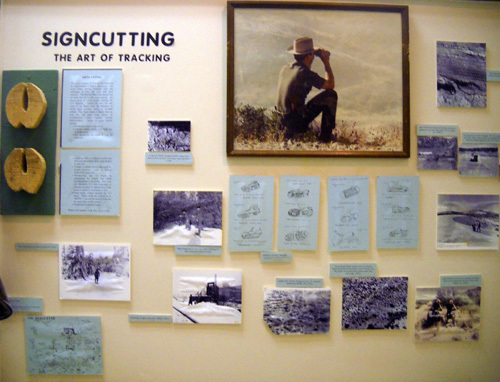 Various exhibits explain what it's like to be a mounted guard, how agents track suspects through various types of terrain, and how checkpoints work. 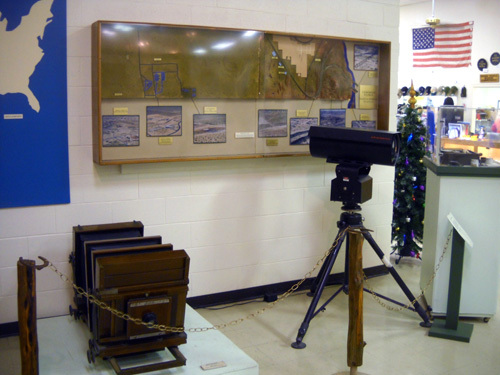 Imagine having to lug that old camera (L) or telescope around! 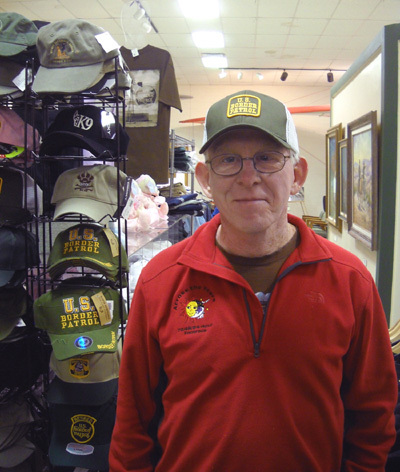 Jim tried on several Border Patrol hats for sale in the gift shop, joking that it'd be fun to wear one into Walmart and seeing how many people move away from him as fast as possible! No, he didn't buy one of the hats. He had fun considering the possibilities, however, and sent that picture to several friends. In some areas of El Paso, like on the road to the missions, we are definitely in the minority. At the Walmart and Sam's Club at I-10 exit 25 there were as many vehicle tags from Chihuahua, Mexico as from Texas. And when I drove through southeastern El Paso on the Mission Trail, I felt like I was in Mexico, not the U.S. I wasn't nervous, just real aware that I looked like a foreigner! 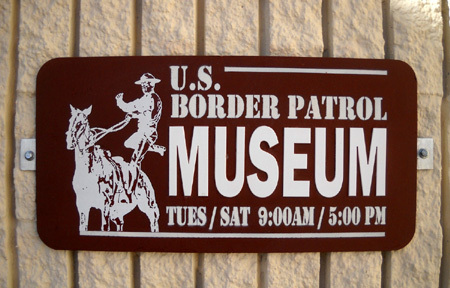 The Border Patrol Museum is located on Trans Mountain Road (Loop 375) near I-54 in northeastern El Paso. It's open Tuesdays through Saturdays 9 AM. to 5 PM. It is closed Sundays, Mondays, and major holidays. Admission and parking are free; donations are encouraged. RVs are welcome but there isn't a lot of room for them to maneuver. 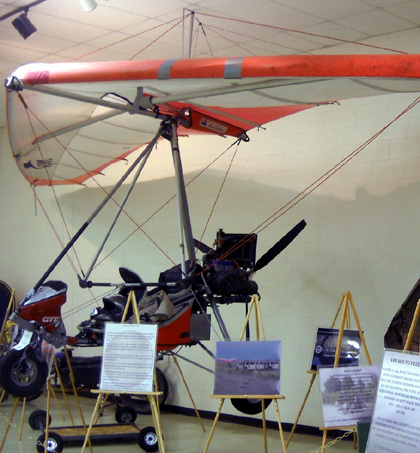 Guided tours are offered with advance notice. 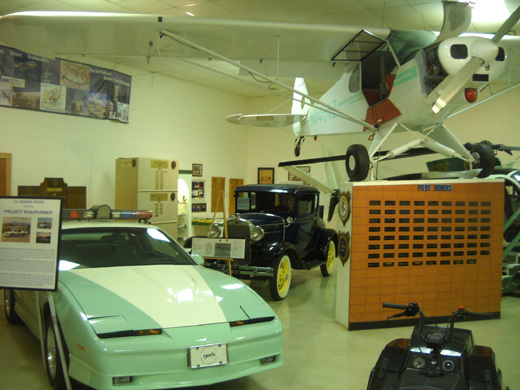 If you're in the El Paso area, we highly recommend you spend at least half an hour in this one-of-a-kind museum. School-age kids will enjoy it, too.